NOT A STAND-ALONE GAME. Requires one copy of Memoir '44 and the Operation Overlord expansion, or two full copies of Memoir '44. 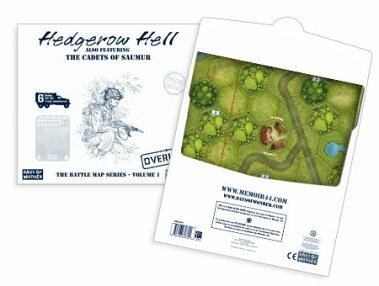 The map introduces a new format for your Memoir '44 game play. With the battlemapit's fast and simple to setup and play Memoir '44 scenarios. The oversized map is ready-to-play with all terrain, obstacles and unit positions pre-printed - just add figures and play. It also features the scenario rules, terrain and unit summary cards and historical background. I cannot stress enough just how much I have enjoyed these battels (and supply trucks)! really adds alot to the game.